If Kavos, in Corfu Greece is your destination for your lads’ or girls’ holiday this summer, then your Instagram feed is in for a treat as Kavos has it all, from gorgeous beaches to some of the very best party events in all of Europe. Here are 5 of Kavos’ most Instagrammable locations. Some of Party Hard’s best Kavos Insta posts are from Quayside Village and for summer ‘19 it can be you and your friends who are tagging themselves @quaysidevillage at the Champagne Spray Pool Party! Get that Champagne cork popping and that camera clicking as you capture your time at what is officially Europe’s best pool party- as voted by Party Harders in 2018! 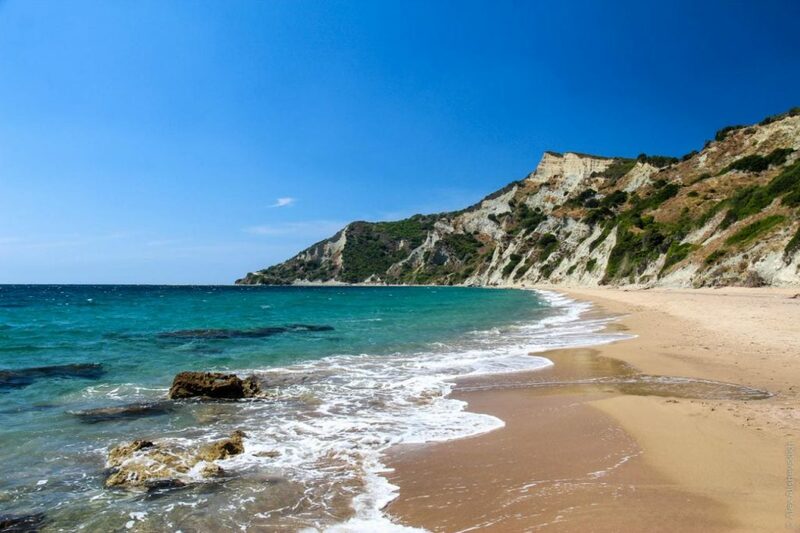 Create a post with a difference by taking a visit to Arkoudilas Beach. 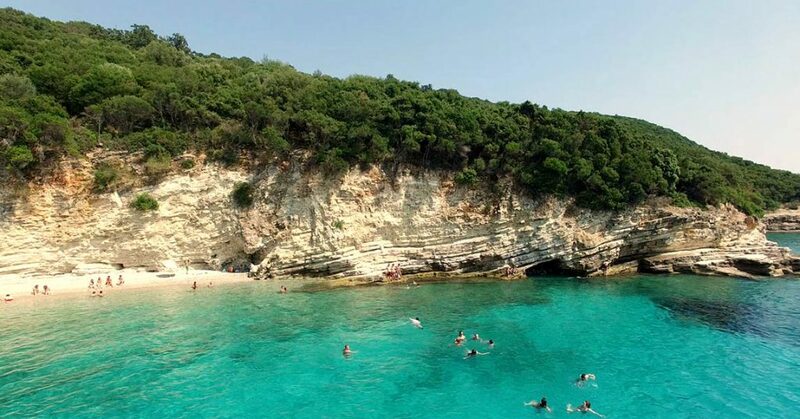 Sure, it’s about 3km from Kavos and will take you about 40 minutes to walk to, but this secluded beach is definitely worth it! The rugged green mountains, golden sand and turquoise water is just the backdrop for some moody shots looking out to sea. It’s time to #travel to #arkoudilasbeach. Keep your feed fresh as you #welcometothejungle in #Kavos2019. Welcome to the Jungle was our brand new event for 2018 and it’s back again for 2019 in Kavos. Admit it, a giant inflatable banana and some cheetah face paint is just what your Instagram has been waiting for! One of the most Instagrammable spots in all of Corfu, the Blue Lagoon is true desert island fantasy! Luckily for you, you don’t even need to make a special trip to capture the beauty as the Kavos Booze Cruise includes a stop at the Blue Lagoon. Greek BBQ, beach Olympics and a private beach- was anything ever more #instaready than this?! 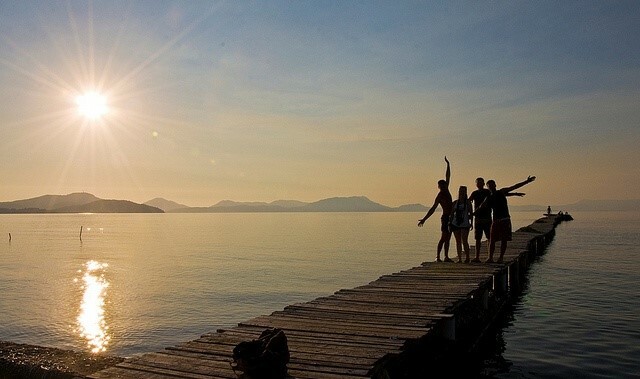 Get that perfect long distance shot of you stood on the wooden deck stretching out to sea at the Kavos Jetty. It’s an #instatravel winner! 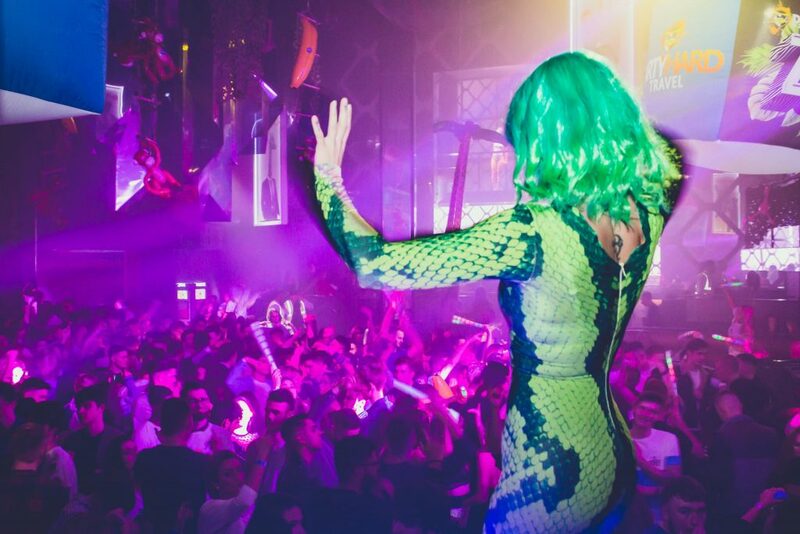 And with all these awesome Instagrammable hotspots waiting for you in Kavos, isn’t it time to get booking your 2019 party holiday?